The Ink Trap: A New Challenge at Kraftin' Kimmie Stamps: Warm and Cozy! 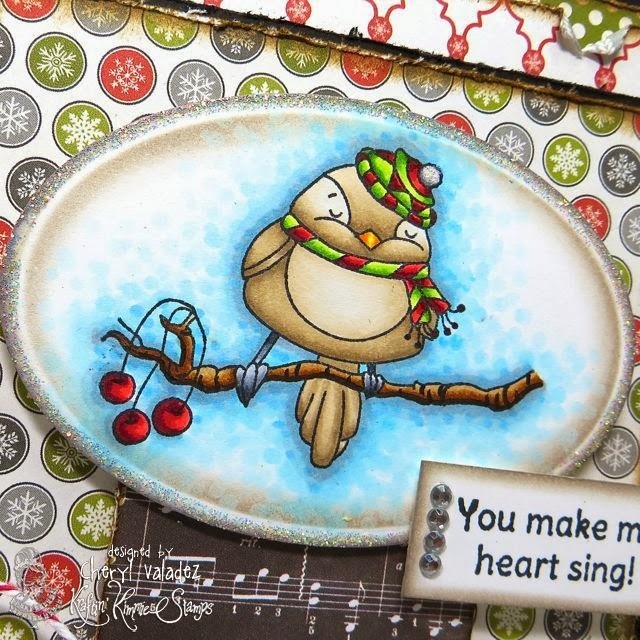 A New Challenge at Kraftin' Kimmie Stamps: Warm and Cozy! Welcome back for some more krafty fun at Kraftin' Kimmie Stamps!!! Hope you can play along as we've got another great challenge for ya! It's awesome to see so many of you creating with KKS!!! Keep them coming! This week our hostess is KAREN!! And her challenge is WARM AND COZY!! So create a card, scrapbook page or altered item with a Kraftin' Kimmie stamp that feels warm and cozy!!! You choose and have FUN!!! Join us this week because we'd LOVE to see your KKS designs. We hope you can play along for your chance to WIN some Kraftin' Kimmie rubbah!!! For my card, I'm using a newly released set called You're So Tweet. If you love adorable birds, then this set is for you. Would you like to come play in the Kraftin' Kimmie Stamps' Krafty Kave?? Haha! Say that three times fast!! GO HERE for all the details on Kimmie's upcoming Kard Klasses!! Check out the wonderful creations by the Krafty Girls and Guests featuring this week's challenge!! If you join us and play along, you could WIN a Kraftin' Kimmie Stamp! Awwe that little guy SURE does look warm and cozy!!! Your cards make my heart sing, I'm in awe of your talent, you are an amazing artist, thanks for sharing, oh loooove the wee bird :)..